Instructors who adopt AGS 12E, Student Edition receive free access to graphicstandards.com for one full year. 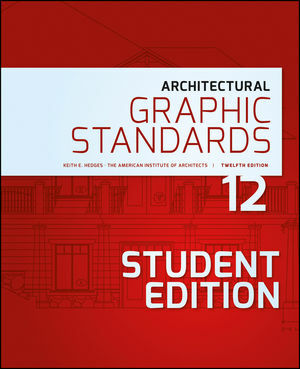 Students who purchase AGS 12E, Student Edition receive free access to graphicstandards.com for one month and the opportunity for full year access at a special student rate. Follow the “Contact My Account Manager” link below to learn more. Downloadable CAD drawings in .dwg, .dgn, and .dxf formats. Sign up for AGS news and product updates and offerings.